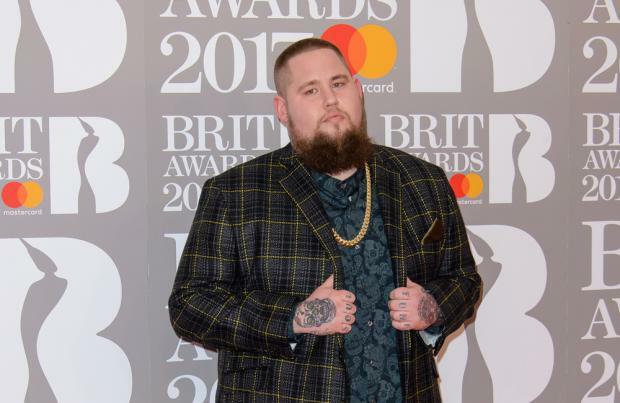 Rag 'n' Bone Man is to headline Edinburgh's Hogmanay 2018. The 'Skin' hitmaker has had a phenomenal year with the success of his critically-acclaimed album 'Human' and has won countless awards including the Best British Breakthrough BRIT Award and can't wait to ring in the New Year at the annual bash on December 31. The 32-year-old soul singer - whose real name is Rory Graham - said: "Excited to be breaking the New Year in with the Scots at Edinburgh's Hogmanay, what a sick event for a debut show." Charlie Wood and Ed Bartlam, directors of Edinburgh's Hogmanay, said "We're delighted to have one of the UK's most exciting new artists headlining Edinburgh's Hogmanay in our first year of producing the event. This has been Rag'n'Bone Man's year and so where better to end it than at the mother of all New Year celebrations in Edinburgh." Councillor Donald Wilson, Edinburgh's Culture and Communities Convener, said: "Edinburgh's Hogmanay is the place to be to send off the 70th anniversary of Edinburgh as the Festival City and kick off 2018 with a stellar musical line-up. Rag'n'Bone Man is a great coup for our world-famous Concert in the Gardens. Get set to enjoy the best New Year party in the UK, if not the world!"